Running from Wednesday 20/10 until Friday 22/10. I am playing Eric Burling. 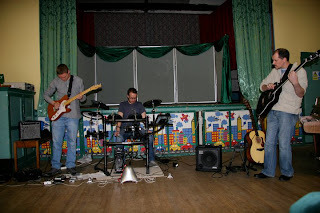 Thanks to Davey for the photograph, and thanks to those who turned up. 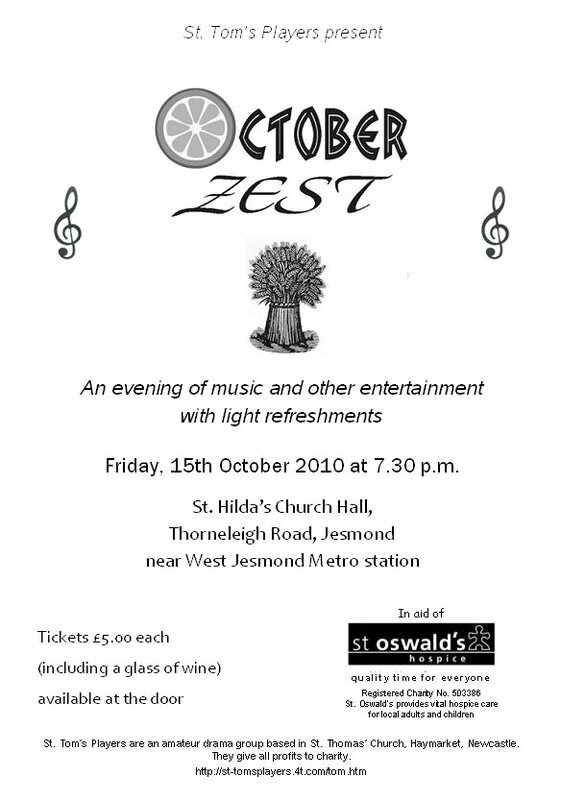 My band 'Velvet Starfish' are performing at St. Hilda's Church Hall in West Jesmond next Friday (15/10) at 7.30. 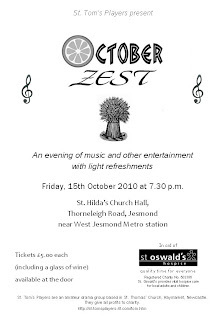 Our performance is part of the concert 'October Zest' which features several different performers and a range of musical styles. 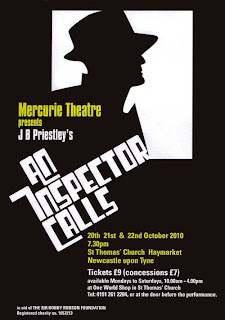 Tickets are £5 on the door and include a glass of wine. All proceeds go to St. Oswald's Hospice.